It looks like you guys have tons and tons of requests already, but I think these are so cute. I'd love to have one of a DQ slime knight. I feel guilty for asking since there's a ton of other requests. Holy, is a Chibi Robo possible? Either that or Ludwig von Koopa and I'd be in your debt. You will be paid with love. Keep in mind that the avatars are been done for free..so if your request is ignored or something, don't request again or quote someone else to request something or demand something.. If it's done, cool...but if it's not..then move on..
since Manny is gone can I put a request in for Agent 47 from the Hitman games? Jesus, this is getting kind of ridiculous. You guys should definitely take the avatar business to a new thread. I log onto GAF and see like 30 new posts, and 29 of them are people requesting avatars. I agree with this. I think the idea of starting a new thread was brought up earlier, but it never happened. Fixed to make it look more like the real size.. It just couldn't have turned out better. This is so my official avatar all over the web forever! Thank you again Divvy, thanks a million! It was nice because it kept the Scribblenauts actual gameplay news/info thread bumped, but I guess it would be a good idea. I also feel sorry for the three artists because they're not getting commissions or anything and they have like 30 requests lined up. You guys made Tiny Cartridge! Thats simply awesome, Ive never been in something like this so I feel very honoured. He says he is also going to add turk's and divvy's work soon. 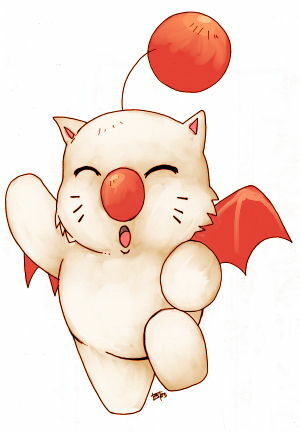 I would be forever grateful if a Moogle one was made... Please? Okay, I have t throw in LttP/my avatar's Link in for some Scribblization. I'd love to see it. I made an req in the "request" thread but it would be awesome to have mine done up. Impressive works you got going on here. Can't waits for the game. Is that the Angry Video Game Nerd? He doesn't exactly have the most flashy fashion sense, but the colors and the pens tell me it's the AVGN. What is exactly known about the level editor? My Skull Kid is in there! So many props on the avatars. They look fantastic! Other note: I'm so happy Scribblenauts is getting the love. I know I nearly crapped my pants when I read the Edge article a couple of months ago. Being able to try it out at E3 made me happy it was turning into the vision. It'll be a day one purchase for sure! Does anyone know whether this game will be at the Gamescom in Cologne (the successor of Leipzig Games Convention)? I'm going there (just bought my tickets actually) and would love to be able to try it out. Hey Jackson, since WB is publishing this game and they bought Midway, are you guys thinking of putting Cyrax in Scribbblenauts? Guess the news wasnt that big for me to miss this. It looks like this thread has died. ARE YOU STILL OUT THERE JEREMIAH? Sure. More info will be coming Don't worry about that. The game can now be pre-ordered at Canadian EB Games =) Just put mine in yesterday. I still need to reserve my copy. I hope that everyone requesting a Scribblenauts avatar in that thread will be reserving a copy too. can someone please do mine? It needs to be done! For those not in the know, it is McBain from the Simpsons with Joker's clown makeup, snake's eyepatch, and Mario's hat! Hey Jackson you should upload some music tracks. I liked the trailer songs and want to hear more. Now there's no excuse for me to write 'Mortal Kombat' and not get the dragon logo floating around..or write Sub-Zero and have a blue ninja shooting ice..